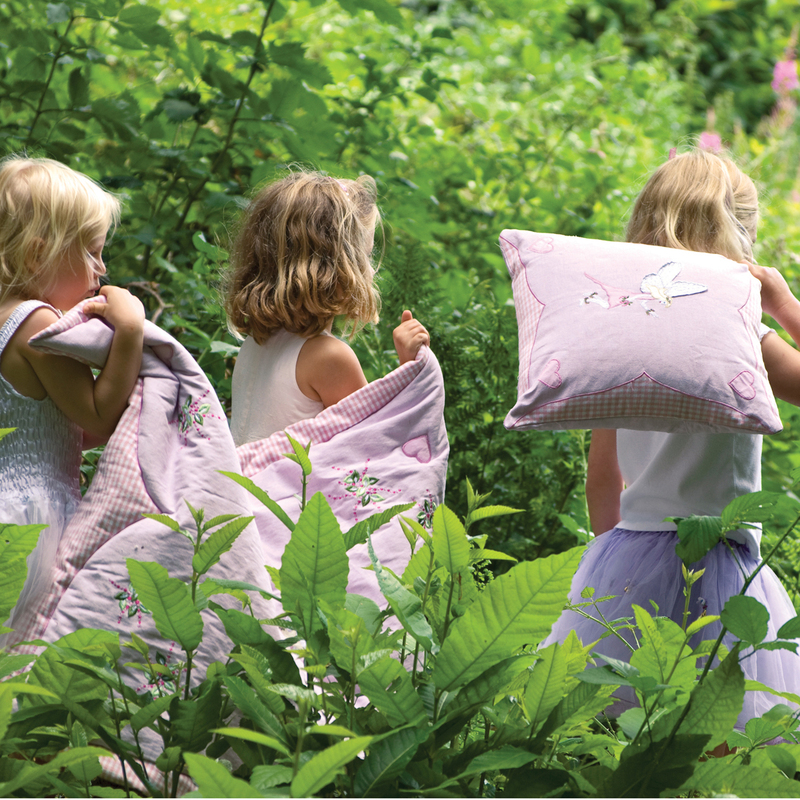 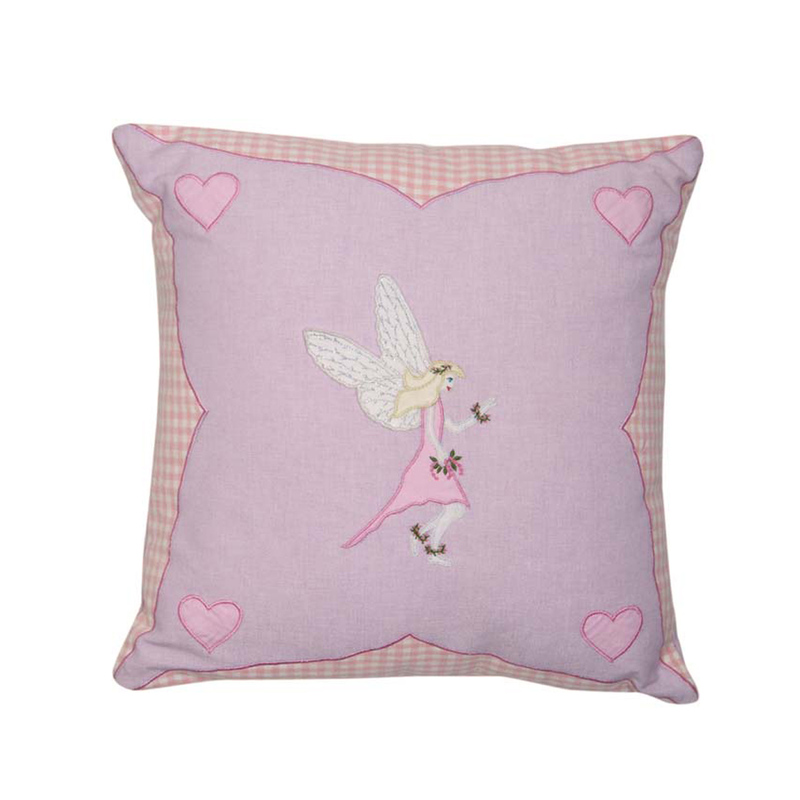 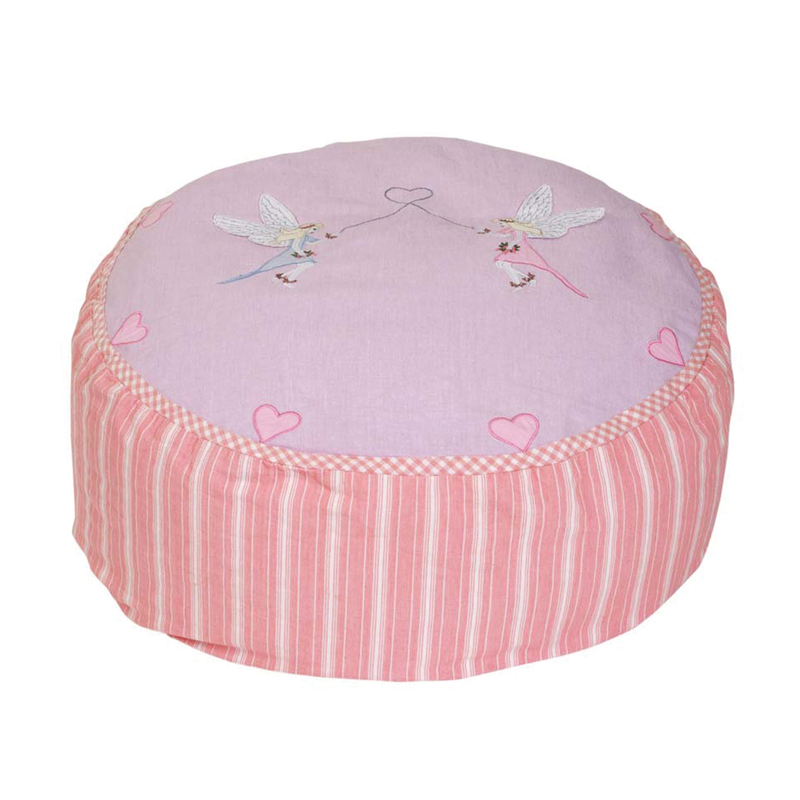 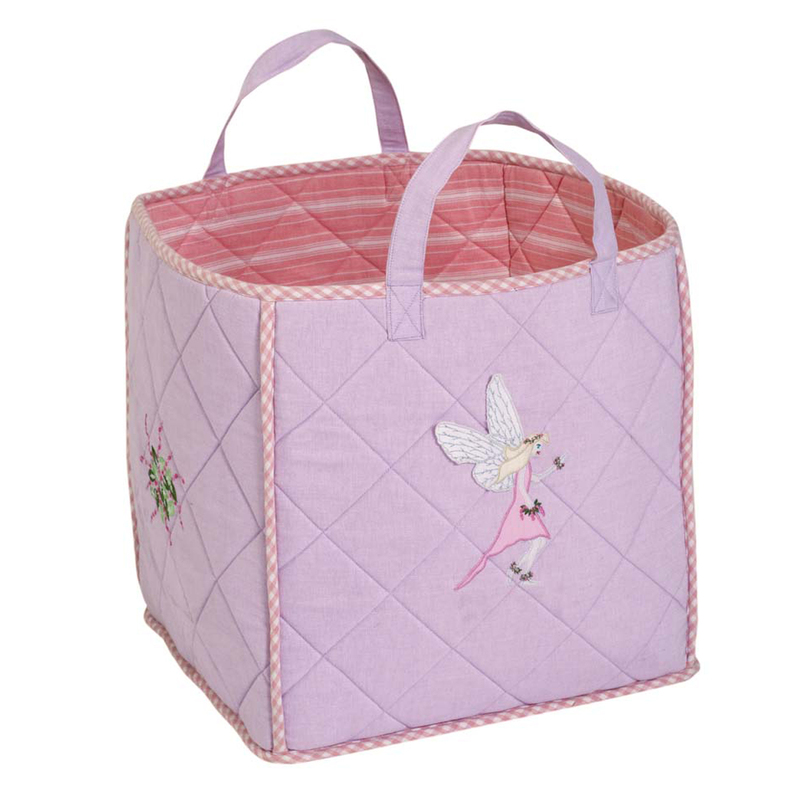 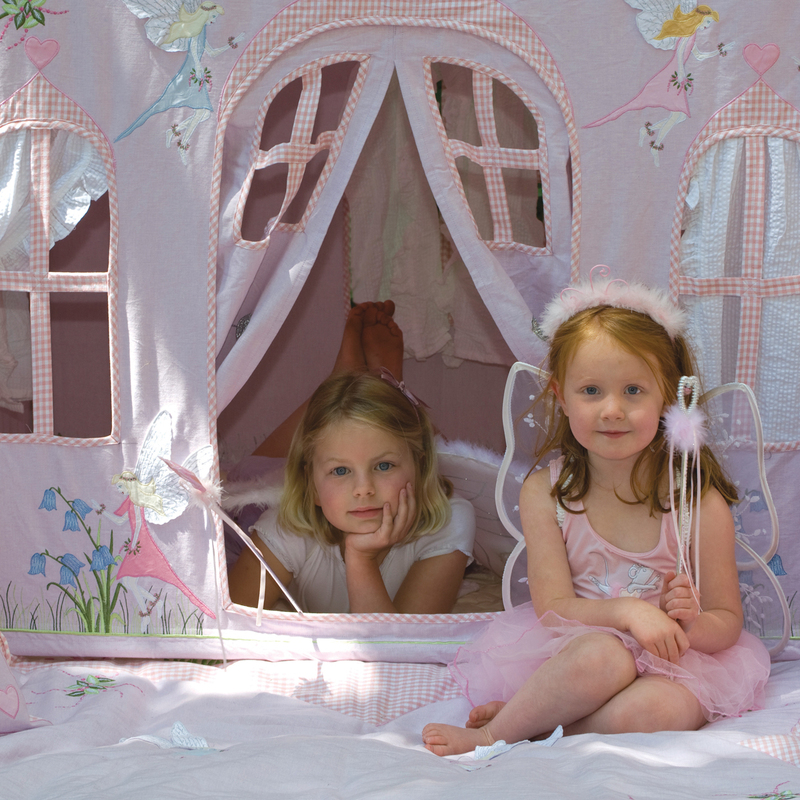 Fairyland Fabric Playhouse for Girls - Our lavender fairy theme playhouse offers a sweet retreat for your precious little girl. 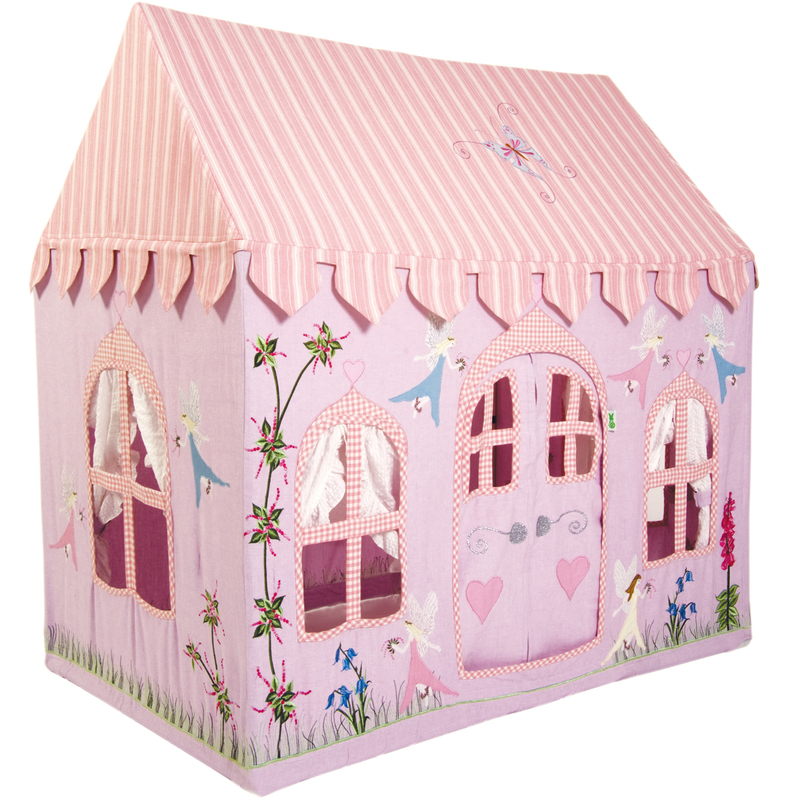 She'll love the fairy appliques and flower vines surrounded by embroidered details on this pink and purple playhouse design. 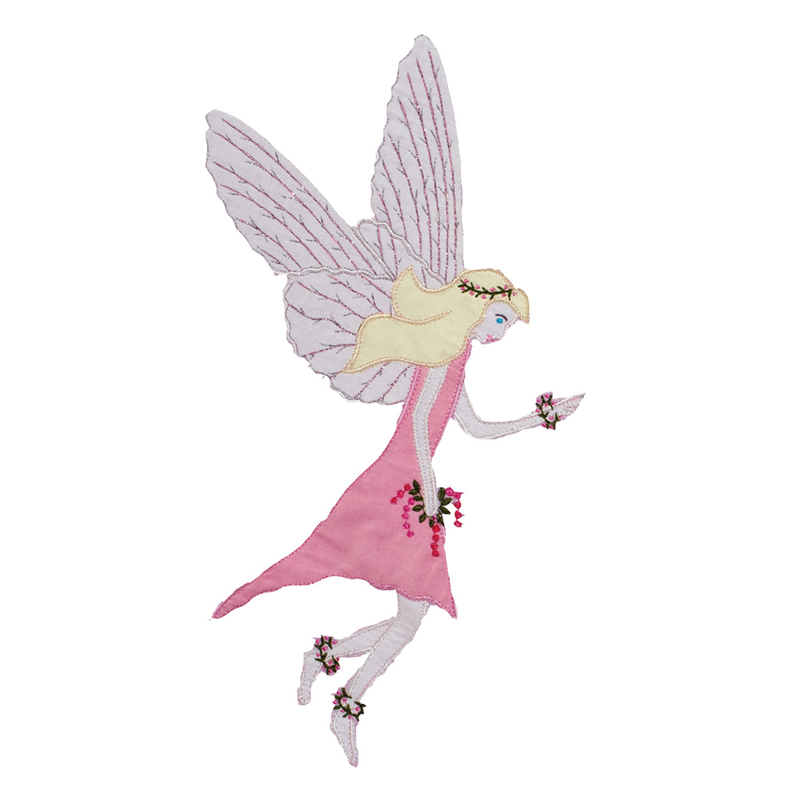 She can peek around the white billowy curtains adorning the windows to spy visitors. 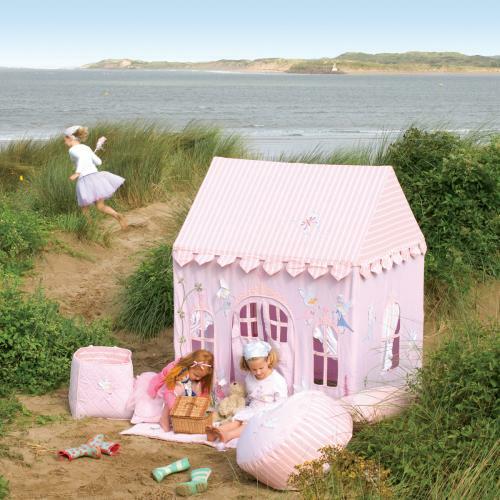 When they arrive, she can welcome them in for tea parties. 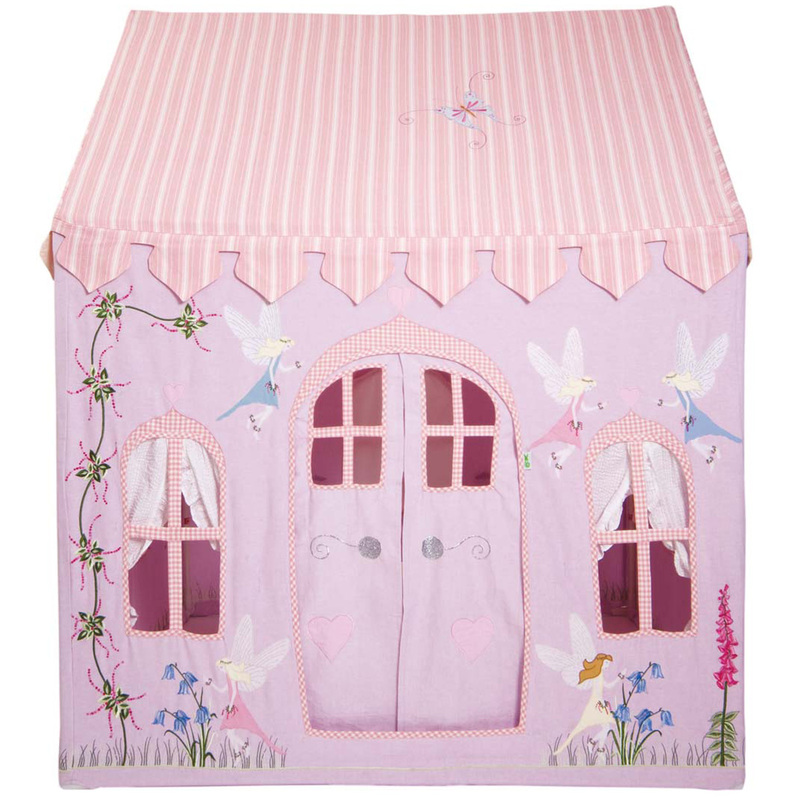 Even the inside of this fabric playhouse is expertly stitched with appliques of fairies all around to impress all her guests. 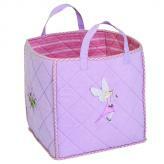 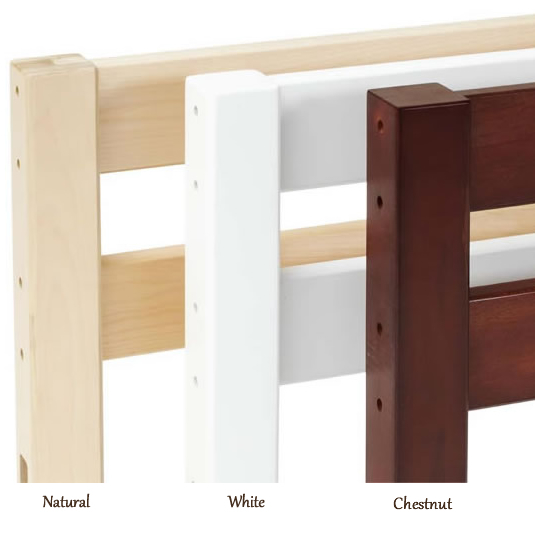 It has a light aluminum frame, is easy to set up, and comes complete with a handy storage bag. 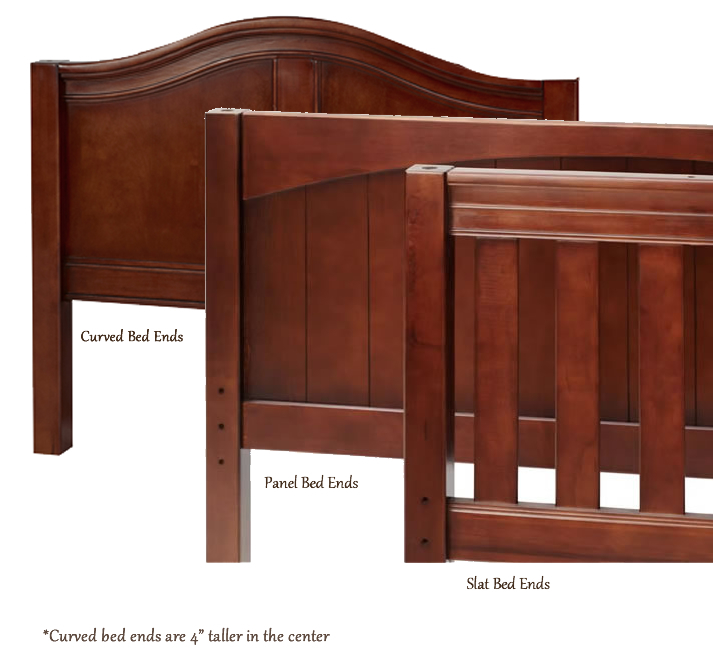 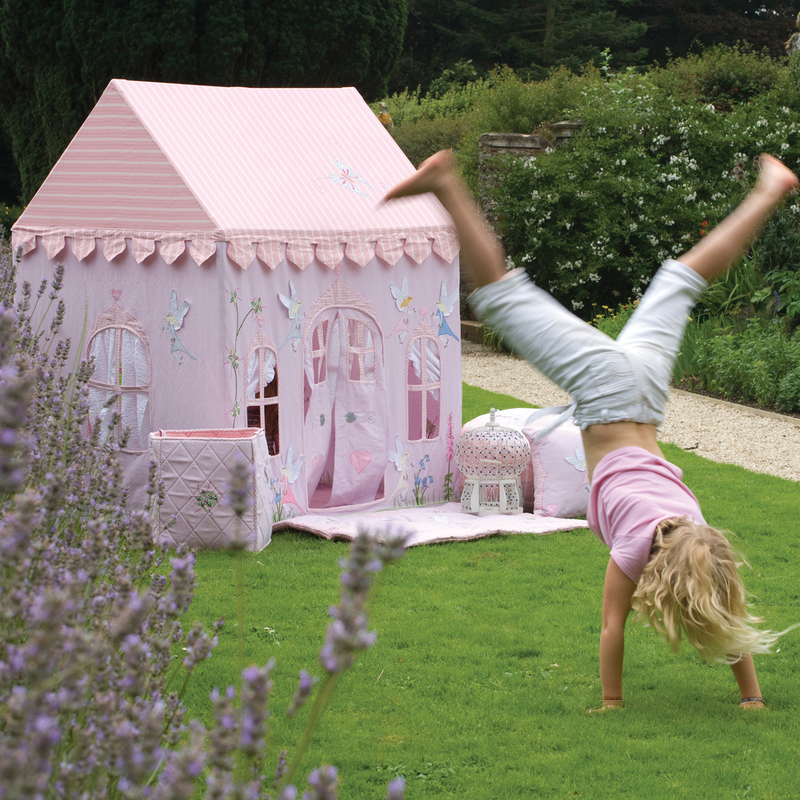 Use the playhouse indoors year-round or outside on nice days. 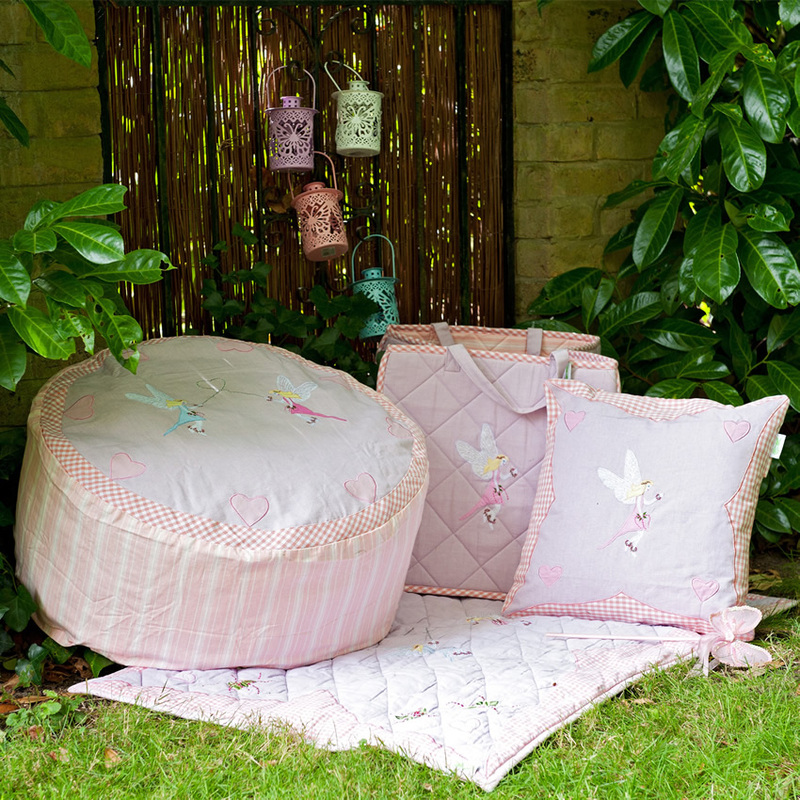 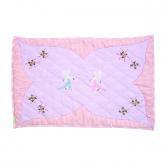 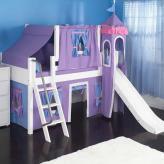 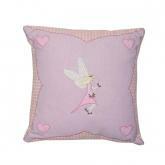 The pink and lavender Fairy Playhouse is available in two sizes to fit any play space.